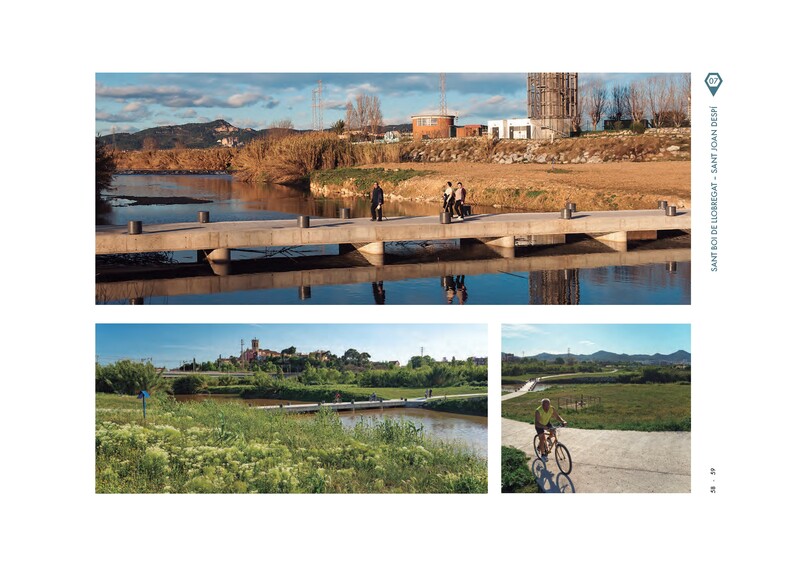 The flooding ford is part of a strategy to promote environmental recovery and social use in the Llobregat River area. 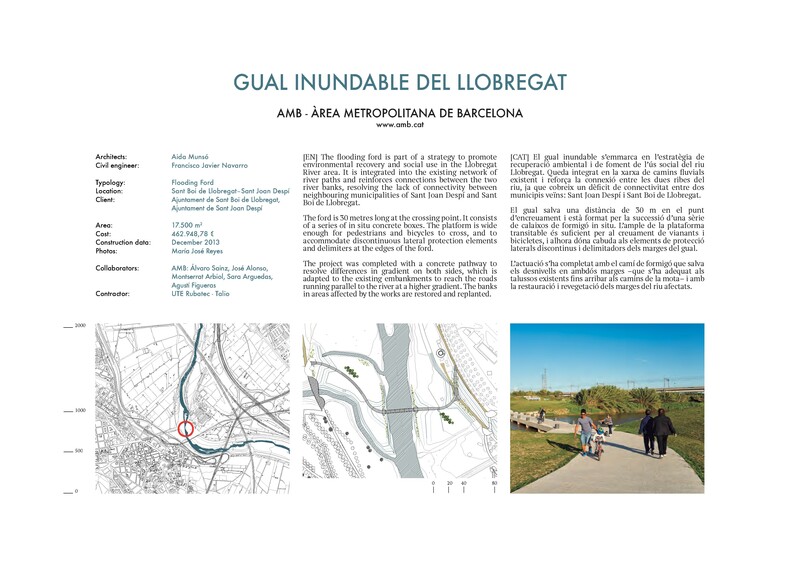 It is integrated into the existing network of river paths and reinforces connections between the two river banks, resolving the lack of connectivity between neighbouring municipalities of Sant Joan Despí and Sant Boi de Llobregat. The ford is 30 metres long at the crossing point. It consists of a series of in situ concrete boxes. The platform is wide enough for pedestrians and bicycles to cross, and to accommodate discontinuous lateral protection elements and delimiters at the edges of the ford. The project was completed with a concrete pathway to resolve differences in gradient on both sides, which is adapted to the existing embankments to reach the roads running parallel to the river at a higher gradient. The banks in areas affected by the works are restored and replanted.